Step 1: Preheat oven to 400°. Pulse first 4 ingredients in a food processor 5 or 6 times or until mixture resembles coarse crumbs. 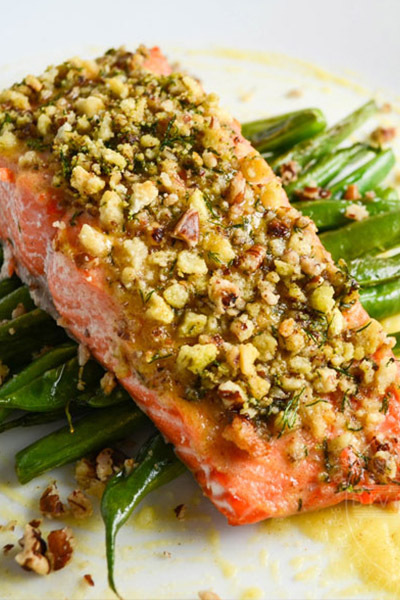 Sprinkle salmon with salt and pepper; place on a parchment paper-lined baking sheet. Spread pecan mixture over salmon. Bake 18 to 20 minutes or just until salmon flakes with a fork. Enjoy this easy recipe from MyRecipes!